Internet, Telephone, Mobile, Television... DUO Broadband gets you connected! 100 megabits per second download and 10 megabits per second upload speed. 300 megabits per second download and 30 megabits per second upload speed. 500 megabits per second download and 50 megabits per second upload speed. 1,000 megabits per second download and 50 megabits per second upload speed. Other plans are available based on network capabilities and special contracts. One-time installation fee of $200 may apply. Did you know that a Gig (or gigabit) Router can help you get even more out of your faster Internet speeds? It can increase your local network speed by as much as ten times! Even though you have fast Internet coming into your business, that bandwidth may not make it all the way to your devices. There are things that can interfere with bandwidth delivery throughout your location. Floors, walls, multiple users, even adjacent business routers can diminish the bandwidth in your business network. Gigabit routers are both smart and powerful. They not only have the power to offset interference, but also the ability to prioritize different types of apps and devices to give everyone on your network a better experience. 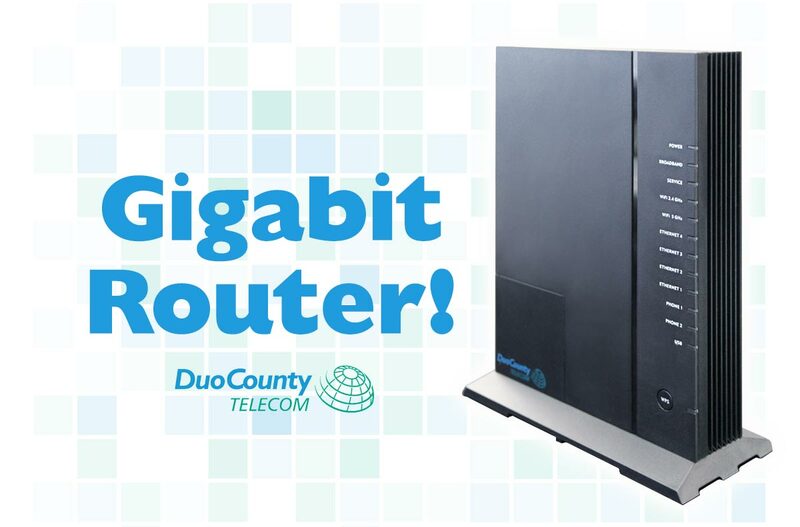 DUO Broadband offers Gig Router service for only $9.95 a month. Call today to upgrade your Internet speed or add a Gig Router to maximize your current bandwidth. The 804 Mesh satellite extends Wi-Fi coverage and capacity of our Gigabit Router within your home or business. 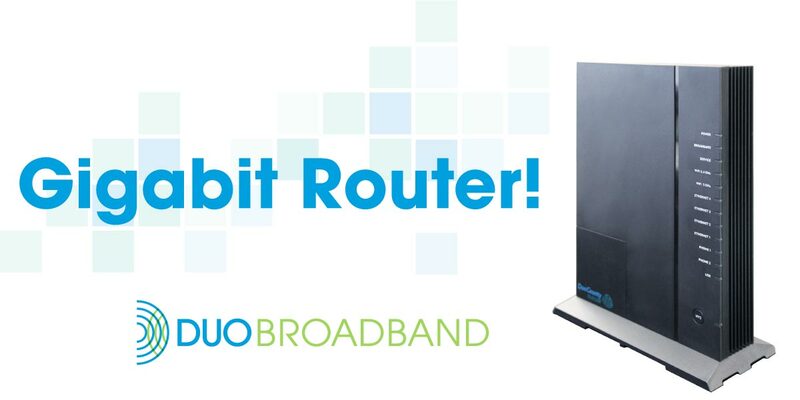 Add the Gigabit Router extender to your service plan for only $4.95 a month. $0.20 per minute calling anywhere, anytime in the U.S.
$0.12 per minute calling anywhere, anytime in the U.S.
with a small monthly fee of $4.95. USF charge will apply and may change quarterly. $0.10 per minute calling to anywhere, anytime inside Kentucky. with a $.99 per line charge (not to exceed $9.99). $30 Monthly Minimum - Duo EZBill Required. DUO Broadband has partnered with Bluegrass Cellular to offer the largest local calling network in the Lake Cumberland region. 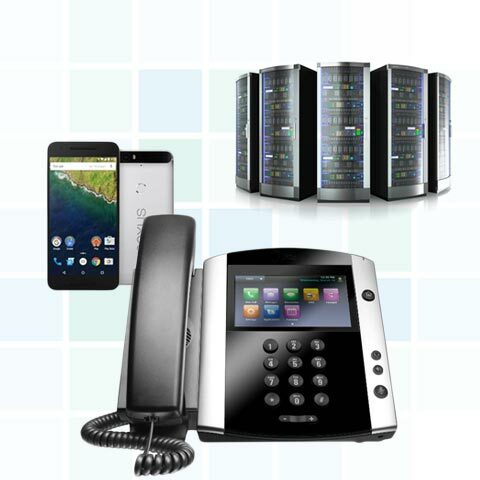 DUO Broadband offers the latest smartphones, tablets, accessories and plans to suit your business needs. Our residential plans and rates apply to business customers. With up to 1 Gigabit of Internet download speed, DUO's fiber optic service can deliver up to 5 simultaneous HD signals into the home or business.